Hi All I am new to the world of 3d printing. Recently I bought a new Anet A8, Luckily it prints fine for most of the object, except complex structures like Eiffel tower. When I printed base of eiffel tower of size about 100x 100x 50mm, it prints with lots of stringing an oozing as in the attached imageI know there is lot of stringings. As it is printed on a low end 3d printer(Anet A8) I want to know whether the print quality is normal for such complex structures. 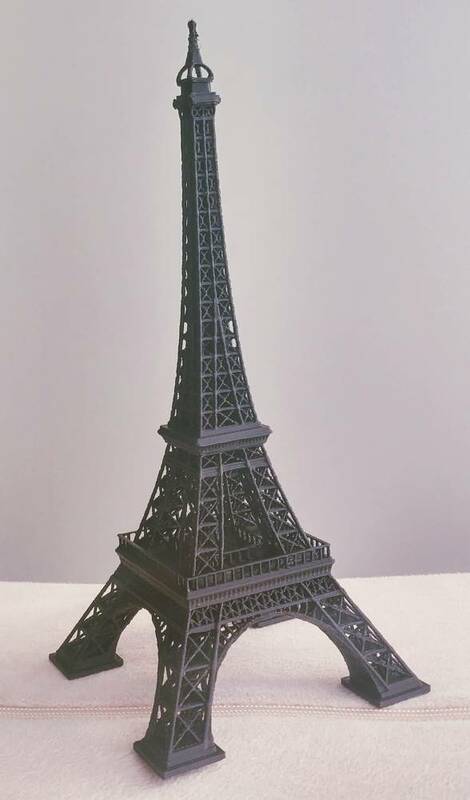 If any one tried printing Eiffel tower on Anet A8, please share a good quality image and also please let me know to improve the quality. Please note that I tried different combinations of retraction speed and distance, but I see no good improvements. Try a temperature of 205 and 210 make layer height 0.2 and make sure you measured filament diameter and entered it in Cura and you should calibrate the extruder and at some time all axes for correct steps/mm dimensional accuracy. But try at a few higher temperatures first . Links are available for solutions and how to. Last edited by Robbel2005; 02-11-2019, 06:26 AM. In my experience, it could be the nozzle is too heavy. especially if you add mods or adding bed level sensors. Also the bed must be levelled well to prevent that kind of rough edges.